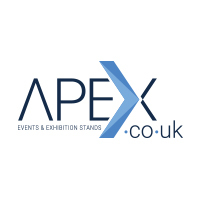 At Apex, we believe that you don’t need to go for a huge exhibition stand if you want to get noticed. In fact, with a talented exhibition stand design team behind you – and an awareness of what it takes to achieve a successful exhibition experience – we can make your stand work for your business regardless of the available space. But sometimes it really does pay to go big. Are you capitalising on your pharma exhibition presence? When it comes to exhibition success, pharma companies have lots of things to consider. This includes making sure that you have quality pharma exhibition stands that sparks conversations. But, to make your investment last, you also need to capitalise on your exhibition presence long after the show is over. Buying the right exhibition stand system and making it look good isn’t enough to make sure your pharmaceutical tradeshow presence is maximised. You’ll also need to add some magic. Healthcare and pharmaceutical companies invest a lot of money to attend exhibitions, so it’s vital that this investment pays off. However, all too often these organisations come to tradeshows with an exhibition stand design that doesn’t work. And, while it can be tempting to go with a cheap off-the-shelf stand, you could damage your brand and lose money by wasting the opportunity to maximise ROI. What are the benefits of pharma exhibition stand project management? You know that exhibition stands are a fantastic way to get noticed and promote your healthcare or pharmaceutical business to a captive and targeted audience. But are you making the most of your tradeshow investment? At Apex, we have an enviable reputation when it comes to creating eye-catching and engaging exhibition stands that start conversations and boost sales. However, for heavily regulated industries such as pharma, we also understand that there are strict rules that have to be followed. But having an ethical exhibition stand doesn’t mean you have to give up the creativity. We just have to be a bit smarter when it comes to design and promotion.